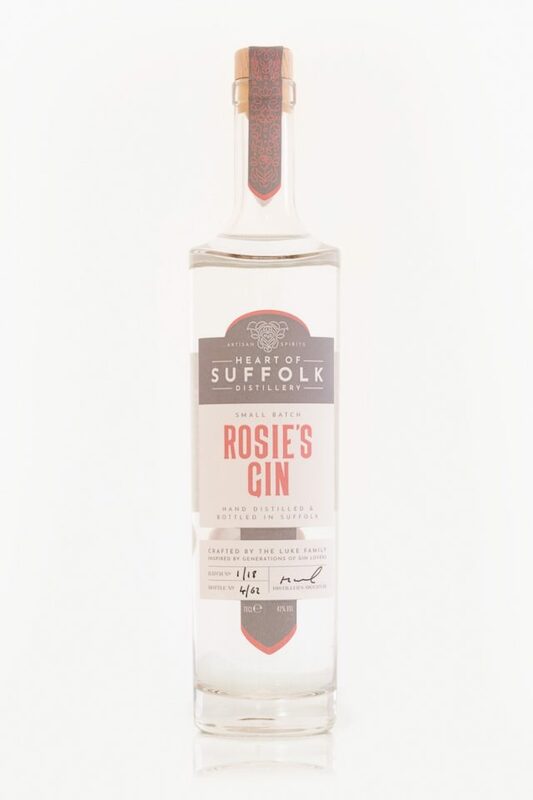 Enjoy long sunny days and celebrate the great British summer with a delicious Rosie’s Gin, hand-crafted by Heart of Suffolk Distillery. Fabulously fruity, fresh and distilled with rose petals, Rosie’s Gin is styled on a London Dry Gin and is the perfect tipple to soak up the sunshine, whether you’re enjoying a family barbecue, lazy picnic or leisurely lunch outside. To really celebrate summer, serve Rosie’s with fresh strawberries, a handful of ice and your choice of premium tonic water to complement the seven carefully-chosen botanicals in its unique, modern mix. You’ll want to savour every sip. Launched by husband and wife team, Martyn and Karen Luke, The Heart of Suffolk Distillery is aiming to make its mark on the growing gin industry with a selection of small batch, hand-crafted local gins that boast both quality and provenance. It also produces Betty’s Gin and Ivy’s Gin from its small distillery in Suffolk.